The ICEFA conference brings together world-class researchers, users and specialists involved in all aspects of failure analysis and prevention from the fields of mechanical, manufacturing, aeronautical, civil, chemical, corrosion and design engineering. 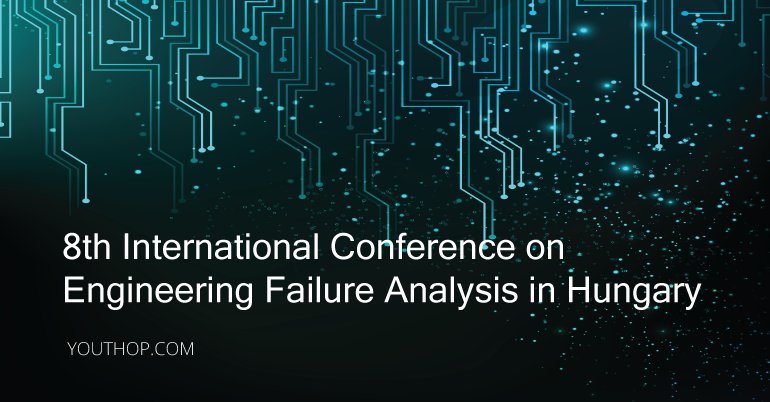 Engineering failure analysis is a key tool for the improvement of the modern innovation cycle which has focused attention on the pivotal role of failure analysis as an essential to improve equipment availability, to help prevent accidents and disasters and to inform the processes of design, manufacture, operation and maintenance of key plant and equipment. Oral and poster abstracts are now invited on the following topics and should be submitted using the online abstract submission system. Appreciate the state-of-the-art in engineering failure analysis and prevention and anticipate future directions. Be part of new developments by presenting your latest research. Submitted abstracts must be on the given topics.